The official website of Ashley DuBose. Ashley DuBose is probably most widely known for her hit single, "Intoxicated", and for her participation in Season 5 of NBC’s The Voice. Ashley began singing and writing music at the age of 10 years old. The desire to be a recording artist and performer grew from watching pop artists like Britney Spears, Destiny’s Child, and Aaliyah perform on television. Ashley’s first performance was in the sixth grade when she performed in her school’s talent show. Encouraged early on by her mother to sing for family, friends and strangers alike, Ashley would go on to perform at various national league sporting events, concerts, open mic events, colleges, schools, weddings, talent shows and corporate and non-profit galas. In May 2012, Ashley released her first independent full length project, titled Somethin’ More. The album was created while Ashley juggled college and parenting her then two year old daughter. Released just a day before graduating with a bachelor of arts degree in mathematics, Somethin’ More was a culmination of Ashley’s life experiences over the four years leading up to its creation – hope, discouragement, love, betrayal, faith, and the desire to achieve what she believes is a greater calling on her life. The unplugged acoustic version of Somethin’ More was released in the following year, catering to the listeners that enjoy a more stripped down approach to the album’s originals. In 2013, Ashley auditioned for NBC’s The Voice. Her blind audition compelled all four celebrity coaches to turn their chairs and vie for her to be on their team. Ashley chose Team Adam and went on to become a top 32 contestant on the show. After her participation on the The Voice, Ashley returned home to begin working on her second body of work which would later be known as Be You. Ashley released Be You in March of 2015. In 2014, Ashley was chosen “Best Vocalist (Female)” by one of the most respected news and entertainment sources in her hometown, City Pages, for their annual Best of the Twin Cities magazine issue. And she is on her way! Her music is making its way to listeners all over the world. 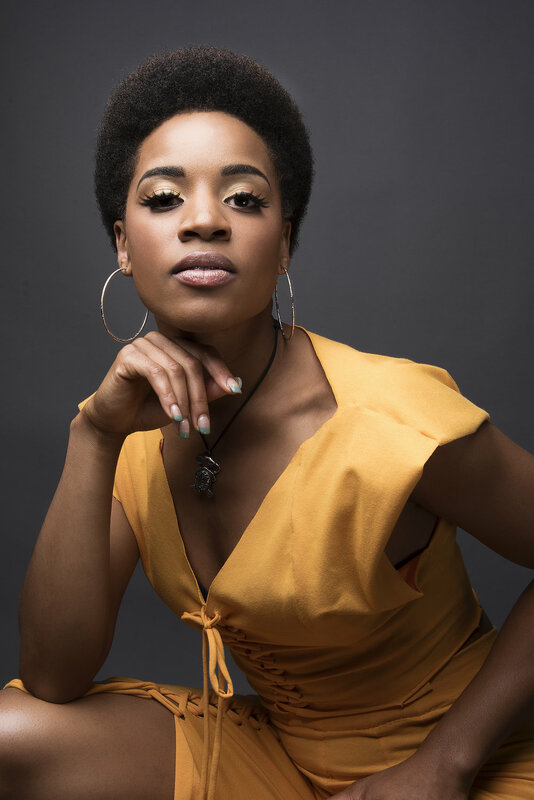 With fans in over 37 different countries, Ashley DuBose's music (leading the count is her hit single "Intoxicated") has amassed just under 5 million streams online through outlets such as Spotify, YouTube and Soundcloud. Since the release of her album, Ashley has been performing and speaking around the country. In 2015, just before the release of her second album Be You, Ashley joined a special events cover band with which she has had the privilege of traveling the world performing at private and corporate events. In addition to parenting, writing and performing music, Ashley works as an instructor for the Twin Cities Mobile Jazz Project, a music program designed to empower youth through music and the arts. Ashley is also an on-camera talent and voice-over actor. Ashley DuBose is realizing her childhood dream. She is determined to be a living example to her daughter that when you fuel a dream with heart and action, that dream will, in time, become reality.